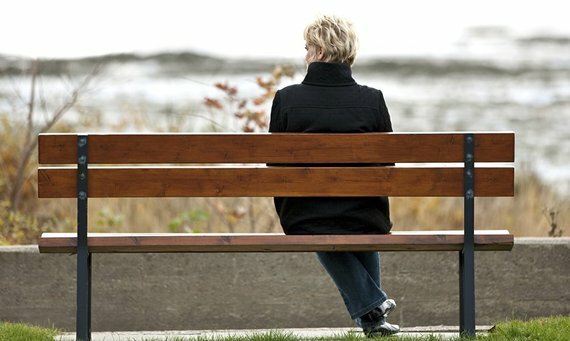 Recently, my dear 'girlfriend' lost her husband. While certainly not by choice, she has now entered an unfamiliar and difficult passage of her life. Without her beloved spouse and soulmate she will have a new lifestyle and with it comes a new title - she is a widow. I write from a firsthand perspective because once upon a time, I was the owner of that luckless title. I was a widow. I know what she is thinking. I know exactly how she is feeling. I know how to help her through the healing process. Sadly enough, I know. After the funeral, she is hit with the finality of her loss. She is a ship without an anchor. No matter what she tells herself or how she prays silently, she knows there is nothing she can do to change her situation. The finality is one of hopelessness and despair. 1. Dear readers of mine... there are no words you can say at the beginning to soothe her pain. Silence is golden at this time. I suggest you undertake what my dear friend Emily did the day of my late husband Michael's funeral. She walked up to me and putting her hands on my shoulders said, "I am here to listen to you." That is my only memory of that fateful day. Her words greatly impacted me. She was saying to me, "I am not here to instruct you on anything. I am here to listen to you on everything." The strength of her words remain with me 27 years later. She did not want to pass on her sound advice. When I was ready, she wanted me to unburden my feelings of loss while she sat and listened. It was loving and considerate and that is the reason Emily and I, who bonded when we lived in Honolulu, are still best girlfriends. 2. The second thing you can do is go on Amazon.com and buy the first edition of a little book called, 'How to Survive the Loss of a Love.' Send her the book with a loving note. Once again, no words. At Michael's funeral, someone put this little book in my hands. To this day I have no idea who it was, but it saved my sanity and became my life support. I followed its teachings to a T. It explained the meaning of loss and informed me of the steps I had to go through in order to recover. It also had a few pages of short poems that touched me. It became 'my bible to recovery.' Send this book out immediately after your girlfriend's loss. 4. After a period of time (it is different for each woman) a widow begins to share her feelings with her girlfriends. While you may not be able to imagine those feelings, it is important to understand them. I will share with you my own emotional roller coaster of a year after widowhood, so you will better understand your widowed girlfriend. - Total lack of concentration. I could not read a book or concentrate enough to watch television. - I lost weight. I had no interest in food. - I was so sad that I cried every day for over a year. - I could not make a decision. - I was preoccupied with my thoughts and often off in my own world. - I did get dressed every day and put on my lipstick and blush. I walked my dog Mahalo, twice a day, four miles each time. It helped me deal with the stress. - I never stayed in bed. I spent time with my daughters and one of my daughters moved in with me. One day, I woke up and couldn't believe I wanted to re-enter the world of 'the living.' And one day your girlfriend surely will, too. I hope I have shown you how to befriend your girlfriend during her tragic life experience. Remember, dear readers, she is fragile. Let her take the lead. Do not pressure her. Just be there to listen.